At Mercedes-Benz Financial Services, we understand that there is no such thing as a “one product fits all” concept. With that in mind, we strive to serve the individual needs of our more than 450,000 customers by providing comprehensive, flexible financing packages along with the highest levels of service, all delivered by professionals at Mercedes-Benz of Eugene. 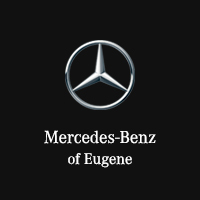 For a low interest rate car loan in Eugene, Cottage Grove, Junction City or the entire South Willamette Valley, visit the experts at Mercedes-Benz of Eugene. We’ve helped people get the car loans that fit their budget so that they could drive away with a new or used car quickly. Visit our showroom and speak to a friendly, efficient financial professional. An affordable car loan or lease is within reach at Mercedes-Benz of Eugene. Please contact us with any questions by using the button below or calling 541-687-8888.